Home > Blog > Hello! A fresh, bright site that clearly tells Australia what we are all about - helping you go the extra mile minus the chafing! Skin Strong Australia has been spreading the #happyskin message for 2 years now and we - Nick (a seasoned triathlete, distance cyclist etc) and Heather (still working to get back to post pregnancy fitness!) - love it. A massive thank you to James & the team at Bloomtools who went the extra mile to deliver exactly what we were after. Odyssey4Autism - Steven Brydon went from couch potato to ultramarathoner for a great cause. A Skin Strong Ambassador, Steve has closed Odyssy4Autism, but you can still buy his book and read all about his endeavours. Bravehearts Australia - working so hard to 'Educate, Empower & Protect' Aussie children, we are delighted to support this dedicated charity. In a few months (Jun/Jul), a group of fundraisers will run 7 marathons in 7 days across 7 states! Oxfam Trailwalker 100 - held around Australia, this 'race' tests both physical and mental stamina. Nick is taking part in a team this year and looking forward to the challenge! Again, raising funds for a very good cause. 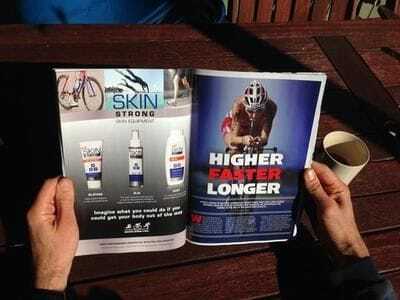 Skin Strong Australia provides a complete chafe protection solution with three products can work brilliantly together. SLIK - a convenient & hygienic spray formula to help prevent chafing between thighs and anything that rubs the skin (ie. seams, heart-rate monitor, back-pack etc). Spray on before using a wetsuit for sensationally quick removal - save time in transition! DUST - a non-clumping powder to help prevent hotspots and blisters on your feet! Give our antichafe range a go today!